What Does an Entomologist Do? Entomologists are biological scientists who specialize in the study of insects. They study insects in both field and laboratory settings. Most entomologists specialize by studying a specific species or group of insects such as bees, butterflies, beetles, or ants. An entomologist who works with bees could choose to narrow their focus to specialize in working with a single species, such as honeybees. They can then specialize even further by studying behavior, nutrition, reproduction, disease transmission, or pest management issues related to their specific species of interest. Other options for employment include pursuing career paths such as forensic entomology (using insect evidence to assist police investigations) or entomological paleontology (studying insect fossils and evolution). An entomologist’s specific duties can vary widely based on the nature of their employment. Entomologists involved in research may be responsible for designing research studies, caring for the insect subjects, supervising laboratory assistants, recording data, analyzing data, preparing reports, and publishing study findings in professional scientific journals for peer review. Researchers may be involved in commercial, private, or government work. Studies may take place in the lab or in the field (fieldwork often involves extensive travel). Entomologists involved in education may be responsible for teaching courses, grading exams, designing lab activities, supervising student research, mentoring graduate students, and pursuing their own research goals. 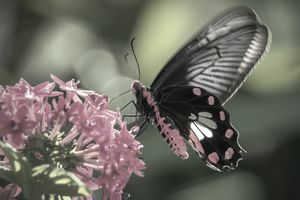 Entomologists employed as college professors seek to publish their research findings, as success in publishing is usually a requirement to secure tenure. Other entomological educators may be employed in public education positions at zoos, museums, or health organizations. Entomologists with graduate level degrees tend to have more options for employment in the field, and graduate degrees are usually required for senior research positions or college teaching roles. Entomology degrees usually involve coursework in insect anatomy, physiology, reproduction, behavior, genetics, taxonomy, life cycles, evolution, population dynamics, parasitology, ecological impact, biological control, and toxicology. Additional coursework for the degree may include classes in statistics, general biology, ecology, and chemistry. Education: Entomologists must achieve (at minimum) a Bachelor’s degree in entomology or a related field in the biological sciences. Once they have completed their undergraduate degree and a related internship, most entomologists go on to pursue graduate level studies at the M.S. or Ph.D. level. Undergraduate entomology programs are offered at a number of major colleges and universities. Many other colleges offer minors in the field that also prepare their biological science students to pursue this career path at the graduate level. Comfort with insects: Entomologists shouldn't be squeamish around insects and must be willing to handle them and their byproducts. Observation skills: The field often requires observing and noting details about insects' behavior, appearance, and environment. Communication skills: They must be able to explain their findings in writing and verbally to academics, students, policymakers, and other stakeholders, depending on the exact job. Critical thinking skills: Entomologists must be able to draw conclusions from data collected from research, observation, and experiments. The U.S. Department of Labor Statistics projects that employment in the field of wildlife biology in general will grow 8 percent through 2026, which is close to the overall employment growth of 7 percent for all occupations in the country. Entomologists holding graduate degrees, especially doctoral degrees, will continue to have the greatest number of employment opportunities in the field. Entomologists may find employment with universities, laboratories, research groups, zoos, museums, private or governmental agricultural entities, military agencies, public health organizations, biotechnology firms, and other organizations. Research and lab jobs often require overseeing and handling colonies of insects, as well as performing tests and experiments in a lab. Jobs that require fieldwork may require some physical stamina and sometimes can include long hours on foot, as well as bending and squatting to observe or work with insects in various weather conditions. Many positions require at least some desk work. Most zoologists and wildlife biologists work full time, but the work hours will vary by type of work and employer. Educators, for example, may do most of their work during the school year. Researchers may work long or irregular hours, especially when doing fieldwork. Become a board certified entomologists (BCE) through the Entomological Society of America (ESA). Find job opportunities on the ESA's job board or job listing aggregator websites like Indeed. What Does a Wildlife Forensic Scientist Do?